Harley Quinn and Powergirl series promises to combine the unlikely duo in a crazy dimension against and evil space dictator. At Denver Comic Con the writer and art team Jimmy Palmiotti and Amanda Conner promoted their upcoming series Harley Quinn and Powergirl. The duo has had great success working on the Harley Quinn series and had a massive line at the con for both art and signatures. 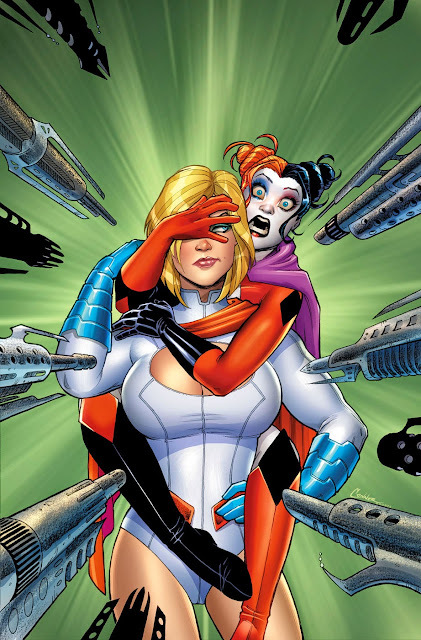 Powergirl has recently begun appearing in the Harley Title and two have become a bizarre but popular team up. 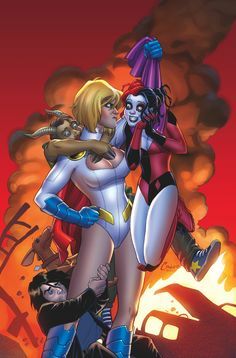 You have the super powerful, Powergirl and the silly, but talented (somewhat insane) Harley Quinn and then you put them in a bizarre situation and see what kind of crazyness they can get into. You can expect the normal hilarious writing from Palmiotti and colorful, vibrant art of Amanda Connor.